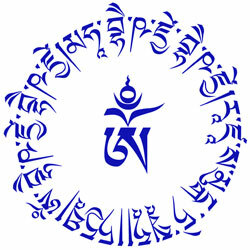 An immersion into the profound world of Tibetan Mantra Healing with Drukmo Gyal! Thursday June 13th, 7PM until Sunday June 16th at 7PM. Optional closing practices on Monday June 17th, 10 AM - 1PM. Theoretical explanation of how mantras are used for healing in both the yogic and medical traditions in order to bring balance to various diseases, restore health, and protect against future sickness for oneself and others. Transmission of a complete ‘Mantra Pharmacy’ used for centuries by Tibetan yogis and physicians to address various health concerns. Sunday June 16th: Tibetan Arts and Music Day!! Join us for our monthly Yangchenma series of arts and culture, celebrating the musical and artistic traditions of Tibet with a special focus on Mantra. Musical and artistic performances with Drukmo Gyal and special guests Tamding Tseten and Simone Giuliani. This program is included in the retreat fee of the Drukmo Gyal’s Mantra Healing Immersion and is open to the public. In honor of the anniversary of Buddha Shakyamuni’s Enlightenment and Mahaparinirvana (Sangye & Nyangdé Düchen), we will be continuing our retreat until Monday at 1PM, and spending the morning closing our retreat with a final discussion, mantra chanting, and a lunch time Ganapuja feast offering. Monday’s program is optional and will not include any new materials or transmissions required for the completion of Mantra Healing Level One course.